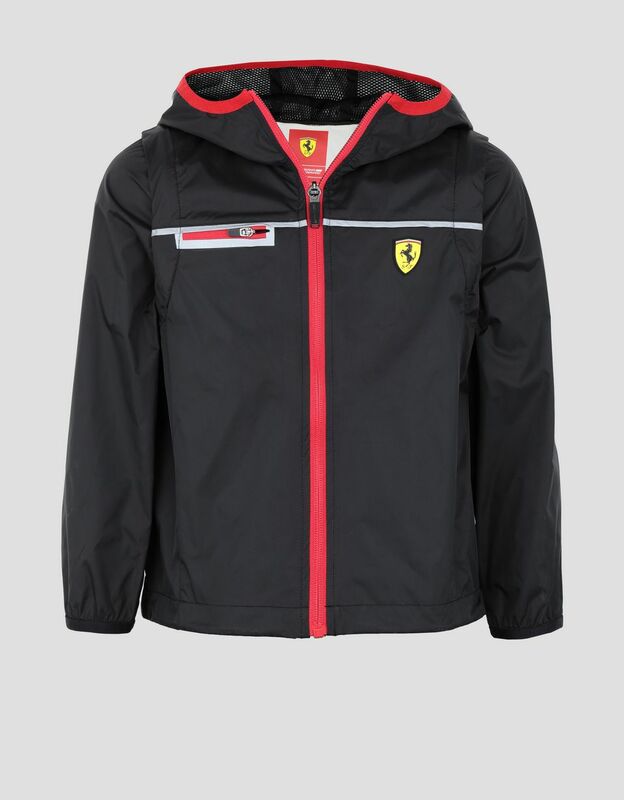 This rain jacket with original detachable sleeves packs all of the edginess of the Maranello team into pint size. 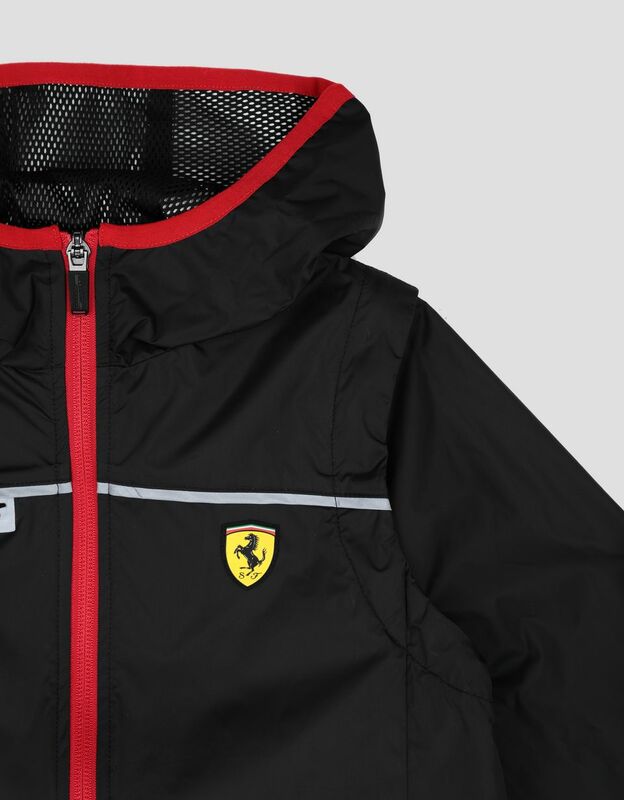 For young fans of speed, the hooded Scuderia Ferrari rain jacket has detachable sleeves that transform it into a practical vest. 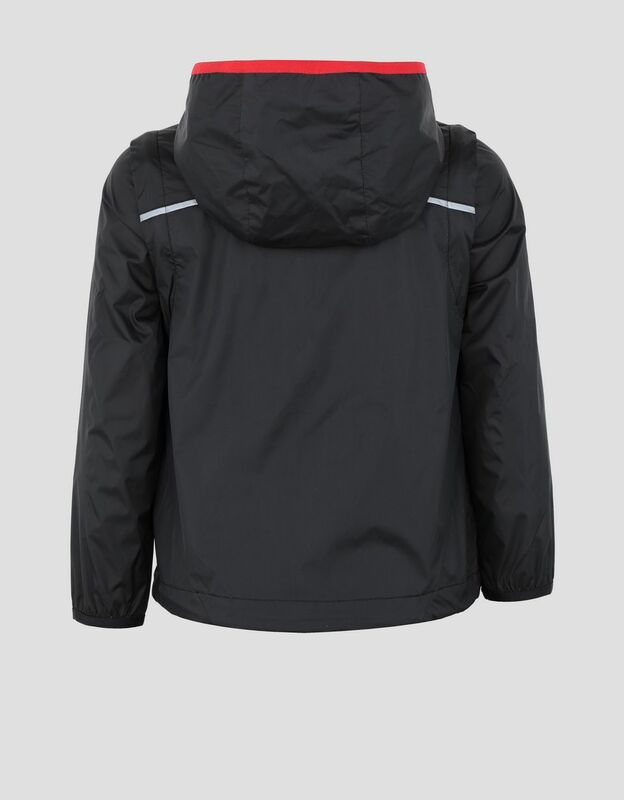 Perfect for both young boys and girls, the garment is highlighted by reflective stripes on the front and back. The water resistantAn item that is water resistant is made with a fabric that guarantees the body protection against low-intensity water sprays. 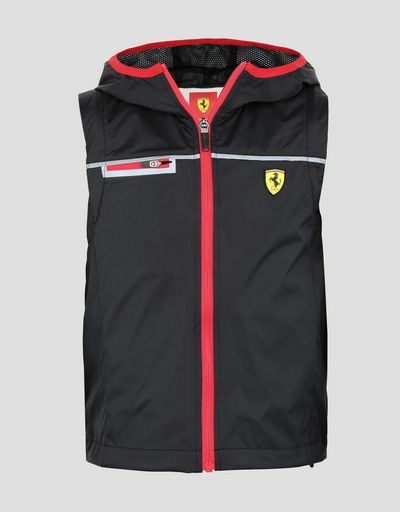 rain jacket has a handy chest pocket and is customized by the iconic Ferrari Shield.